To celebrate the festivity of Sant Jordi, we have decided to give away four catalogues of the museum. 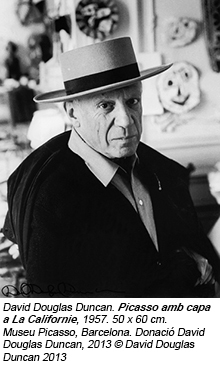 If you want to participate in the contest, show your creativity and respond with a poem, a text or a Picassian quote (either from Picasso himself or by another author about the artist) in a post that we will publish in the social networks of the museum*, from 17th April, at 10.00am, until 23rd April, at 23.59pm. Good luck!